I never tire of saying good things about first responders. The firefighters who at this moment are risking their lives — and in some instances losing their lives — deserve a good word today. They are battling fire that is ravaging much of northern California. At last count (that I have heard) eight people have died from the fire. One of the blazes, the Carr fire, is believed to be the largest wildfire in California history. What really doesn’t get nearly the attention it deserves, though, when these tragedies occur is the inter-state cooperation that occurs among firefighting organizations. Sure, the media report on it; they mention on TV news broadcasts that fire crews have rushed to the aid of the local firefighters. My wife and I got a taste of just how extensive these inter-state efforts can get. We visited Grass Valley, Calif., a year ago on our way north to Portland. We parked our fifth wheel at the Nevada County Fairgrounds and became acquainted with firefighters who had encamped at the fairgrounds, which they used as a base camp from which they would confront the fires. 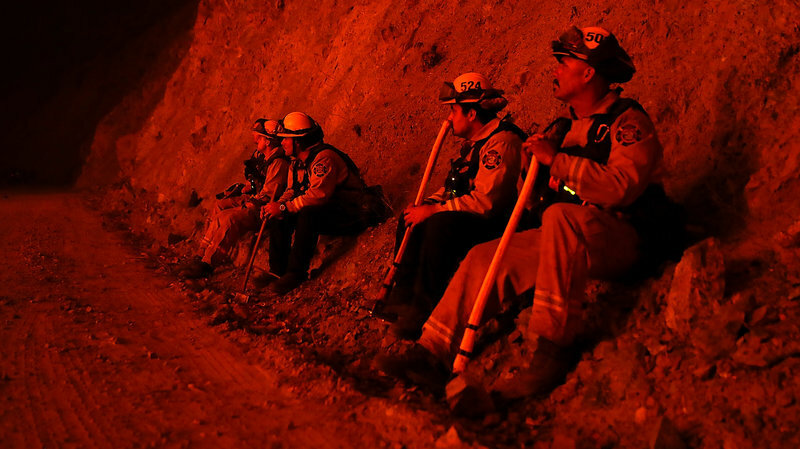 One of the senior firefighters told us fire crews had come from 12 states to assist the locals in battling the blazes that were terrorizing communities all over California. Indeed, the Texas Panhandle — which also is susceptible to wildfire — earlier this summer welcomed fire crews from as far away as Oregon to assist crews battling the range fires that have blackened many thousands of acres. These men and women are heroes in every sense of the word. They surrender their lives in the comfort of their own communities to assist their colleagues. They thrust themselves into harm’s way to protect human beings, livestock and pets from the merciless blaze. Such heroism is presenting itself yet again out west. All of these individuals deserve a nation’s prayers as they keep up the good fight against Mother Nature’s fury.